In order to effectively execute a project, those within and those outside the project need to understand where responsibilities lie and how they all fit together. 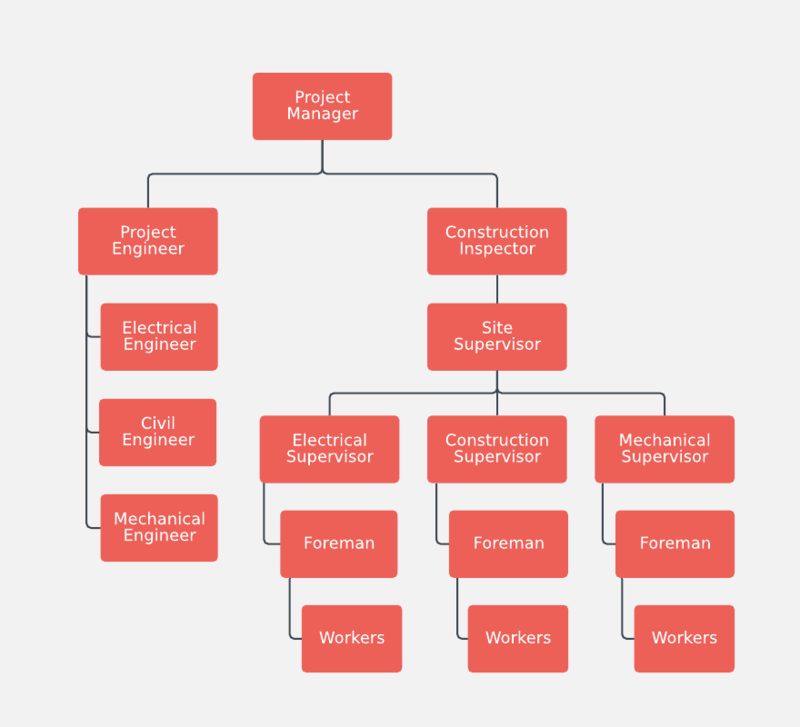 Providing this information in a visual format such as the project team org chart above facilitates improved communication and efficiency within a company. Start a free Lucidchart account to begin using this project team org chart template. Change the shapes, colors, text and lines until the diagram fits your project needs.